Slinky is a male Pit Bull mix born on 12/17/2005. Slinky is extremely handsome. He is white and brindle colored, has a big chest for his big heard, a big head for his big brain and soulful eyes. I have a sister named Libby who is fun most of the time but at times she thinks she’s hot stuff. My awesome mommy adopted me to be a pal for my little sister. Since I was such a cool dog, just like all the court case dogs, she decided to adopt me from the Anti-Cruelty Society. My mommy says my main job is not to pee or poop in the house, which was extremely hard at first but I am getting the hang of it. Most recently my mommy and I have been helping SHC and the court case dog program. We went to Andersonville Midsommerfest to talk to people at the booth and just the other day we went to the 24th precinct to help with the police roll call training. I love meeting nice people who want to pet me. My hobbies including taking walks, playing, eating and sleeping. Walking has been a lot more fun since it’s warm outside, I hate the cold and those big noisy trucks. My sister and I play a lot, I also get to play with my push over uncle, I can kick both their butts. Lastly but certainly not least eating and sleeping are my favorite things to do. Sometimes when no one is playing attention, I steal my sister’s food. She’s a slow eater and walks away from her food a lot, so it’s very easy. My mommy says the only trick I need to know is to not go pee or poop in the house. I do know how to it and lay down, though when I am feeling silly I’ll roll on my back and wiggle around. Whichever one my sister has. My sister and I mainly sleep. However I love to chew up the couch, ripping out the stuffing from the cushions is so much fun. Also that is the best time for me to find objects to bring into my crate. I’m not too picky, when it comes to what to take. My mommy calls me a hoarder, which doesn’t sound too good but I love doing it. I received my canine good citizen certificate in April, I’m so smart. 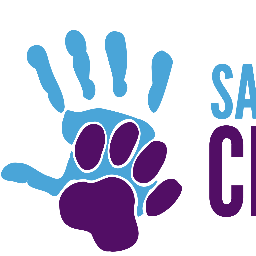 SHC, Best Friends, Anti-Cruelty Society, and the Court Case Dog Program are the best! My mommy says I owe my life to these organizations. When I see someone from one of these groups they are always so happy to see me and I’m happy to see them to, especially Janice Triptow. You guys are the best, thanks for helping me find my family. Wilbur is full of hopeful tail wags.